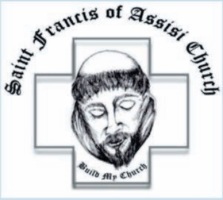 This Ministry reaches out to welcome and build relationships with newcomers to Saint Francis of Assisi Church. No matter what your present status in the Catholic Church, no matter what your current family and marital situation, no matter what your personal history, age, background, race, etc., no matter what your own self-image, you are invited, welcomed, accepted, loved, and respected here at Saint Francis of Assisi Church. Throughout the year, the Newcomers/Welcoming Ministry sends out invitations to newly registered parishioners inviting them to attend the Parish picnic. The ministry follows up by telephoning each new parishioner to personally welcome them to the parish and once again cordially invite them to the picnic. Those who are reached by telephone and through invitation are always grateful for the warmth and welcome of this extension of hospitality. It helps them to know that they are not just another body in the church, but rather a body of Christ that is joined with others in faith. If you are interested in working within this Ministry, please contact Jim or Paulette Mackuliak via email at pmmack01@gmail.com or completing the Volunteer Information Request Form below.